Mitch Kelly and I teamed up to brand the new National Xtreme Baseball League (NXBL) concept team, the Jacksonville Harriers. Our challenge was designing a logo and brand identity that is edgy yet distinct from other baseball teams that use a species of bird as their team mascot. The key audiences are fans of minor and major league baseball, families, kids that play for their schools as well as local leagues. We had the creative freedom to choose the team mascot. After much conceptual brainstorming, we decided to utilize the Harrier, a North American species of hawk. This was also chosen because of the similarly named Harrier jet in connection with the naval base stations in Jacksonville. 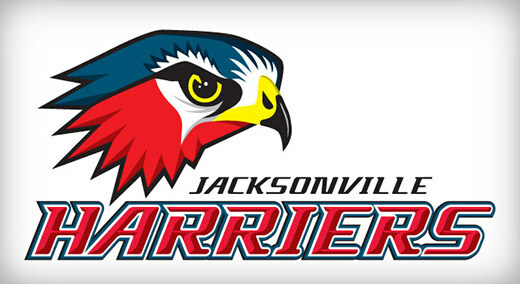 Mitch Kelly and I teamed up to brand the new National Xtreme Baseball League (NXBL) concept team, the Jacksonville Harriers.